This entry was posted on November 17, 2010 by Caroline Calcote. It was filed under Uncategorized . Oh, yum! 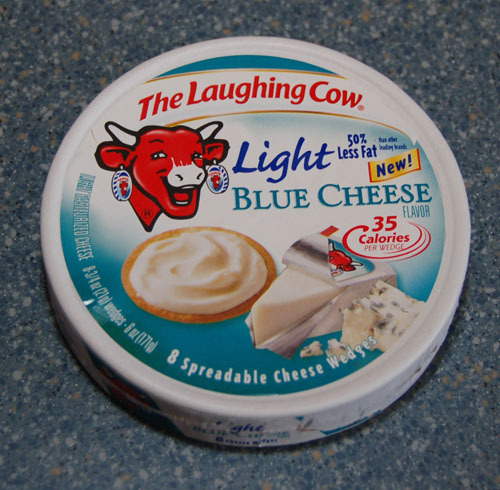 I LOVE the Laughing Cow cheeses – I even bought them at the supermarket when I was in Paris! They have one there marketed for kids called “Kiri” (a play on the brand’s name in French, “La Vache qui rit”). They’re full-fat but smaller sized for kids, so after a long day of walking around Paris, a piece with a fresh fig was a nice treat! I have seen the blue cheese one but have not tried it yet – though the chipotle one is incredible in a baked sweet potato!